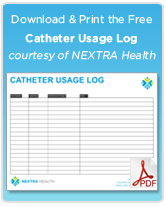 While most catheters are purchased for medical purposes, many men have other uses for external male catheters aside from incontinence or Urology. Once such instance of this is scuba diving. Nature calls no matter where you’re at, and scuba diving presents some unique challenges. During extra long exploration dives in drysuits at some point one needs to urinate – surfacing on a deep dive to remove equipment and unzip the drysuit just to urinate is not practical or ideal. And, of course, urinating on yourself in a drysuit is never a pleasant experience. So there are two realistic options that do not involve surfacing: 1) Wear a diaper or pad (such as Depends) to soak up urine and dispose when you surface or 2) Wear an external catheter that drains the urine from the suit through an output valve. Since drysuits are made to prevent water from entering, a method to release urine underwater is needed to vent urine from inside the suit to the outside. Thankfully for male divers, valves designed for drysuits (known as a P-Valve) allow urine to release through a vent and an external catheter system. A P-Valve connects to the drysuit on the thigh and allows for fluids to transfer out without allowing water in. It attaches directly to an external catheter system that allows the urine to drain through the tubing and out of the P-Valve. What kind of catheters should be used for Scuba Diving? A male external “Condom” catheter is the standard catheter worn by male divers. There are multiple options and brands in condom catheters, but typically the favorite among divers seems to be Rochester’s WideBand Catheters. Rochester WideBand series are popular scuba diving catheters because they offer more adhesive area and protection for the wearer than most other external caths. Also popular is Rocheter Pop-On catheters, which are much shorter in length but still have a securing adhesive band. For an alternative brand, the self-adhering Freedom Catheter or the shorter Active Cath from Coloplast are good solutions. There are also female versions of the condom catheter designed especially for diving. Just as you should with all scuba equipment, keep P-valves and tubing clean. Flush the P-Valve tubing out with vinegar and water after each dive. Re-using catheters can cause bacteria buildup, putting you at risk for Urinary Tract Infections (UTI). Catheters are relatively cheap, so use a new one instead of attempting to re-use an old catheter. Minimize or eliminate kinking and bending of the tube when putting on a drysuit. Kinking or bending can cause urine backflow in some instances or build pressure which can cause leaks. Consider an adhesive remover to keep away the “tacky” feeling common with using any kind of medical adhesives like those on an external catheter. 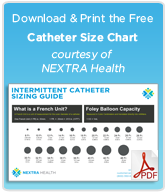 Get proper sizing for the catheter. Catheters are usually measured in millimeters. If you’re unsure which catheter would provide the best fit, suppliers such as Rochester may provide samples, or try purchasing catheters individually in several different sizes to see which model fits the best. If putting on a Wideband or lengthy adhesive bonded external catheter, be sure to pull back, trim or shave any hair prior to wearing! For good prices on scuba diving catheters, visit STLMedical.com.